Joel Gingery is a judo and Brazilian jiu jitsu black belt under Adriano ‘Nasal’ Pereira, being also a founding member of the Memphis Judo and Jiu Jitsu Academy. 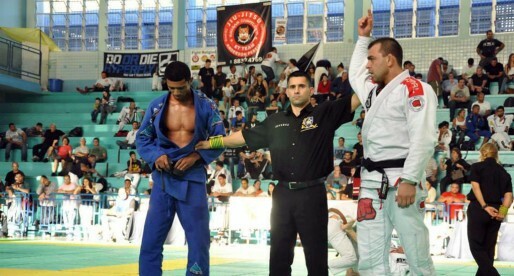 One of the modern day legends of BJJ’s Masters division, the former high level judoka made a name for himself through his consecutive gold medals at the International Brazilian Jiu Jitsu Federation (IBJJF) World Masters Championship and through his wins over legends of the sport such as Júlio César Pereira, Egan Inoue, ‘Megaton’ Dias or Nelson Monteiro. A former Navy SEAL, Joel Gingery also worked extensively on his ground skills with Marcelo Garcia. Joel Gingery was born on August 18, 1965 in in Long Beach California; growing up in Millington Tn. – United States of America. Gingery became a successful judo player during his teens, a sport in which he competed from the age of 8 up until his 21st birthday. 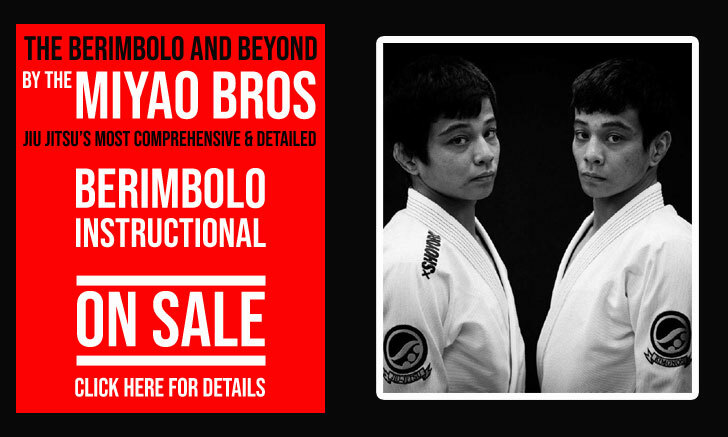 He spent the following 5 years at the service of Team One of the Navy SEAL’s, returning to martial arts in 1995 on time for a return to high level judo while making the elite roster weight US team during his mid-thirties – a tremendous deed at the upper echelon of a highly competitive sport. In 2001 Joel saw judo and BJJ black belt Dave Camarillo competing at a judo national tournament. Camarillo was using jiu jitsu to defeat his opponents and Gingery saw plenty of merit in this style of ground work. Soon after this tournament Gingery joined a jiu jitsu class in an attempt to improve his own newaza, being taught by David Ferguson and Mike Pyle in Memphis Tennessee. The interest in BJJ continued to grow, taking over Joel’s training schedule. 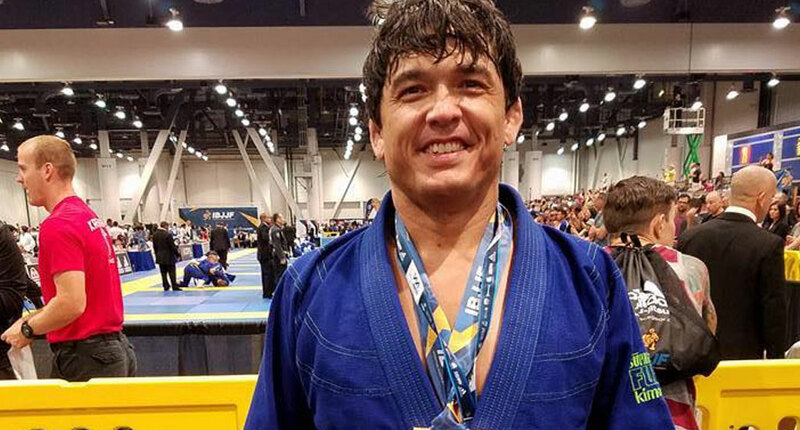 This newfound love for the ground led him to drop judo altogether as he attended seminars and travelled as much as he could to get the best jiu jitsu instruction he could find. Gingery’s initial gradings occurred at workshops led by Renzo Gracie (blue belt) and Royce Gracie (purple belt) before linking with the Brazilian Top Team academy (BTT). As a purple belt Joel started coaching BJJ at his gym, later (2003) Gingery joined forces with David Ferguson to form a united martial arts academy. At BTT Gingery was coached by Adriano Lúcio and Adriano ‘Nasal’ Pereira, who promoted Joel in his following belts, the black belt grading occurring on May 2008 (handed by Nasal). The partnership between Gingery and Pereira came to a halt in 2009 when the Brazilian moved to Southern California. Being a big fan of Marcelo Garcia and his coaching methodology, Gingery pursued an affiliation with Marcelo that same year. Being a student under Professor Joel Gingery is a privilege and honor, his DAILY hard work and dedication to BJJ and his students is an inspiration, not to mention the confidence he probably unknowingly instills in us with the effectiveness of his teaching and methods. 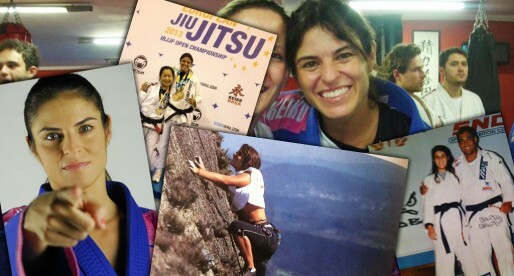 Being a part of the MBJJ family has changed my life for the absolute better! Thank you Professor Joel!